Costume? Check. Make-up? Check. Bloody organ? Check. 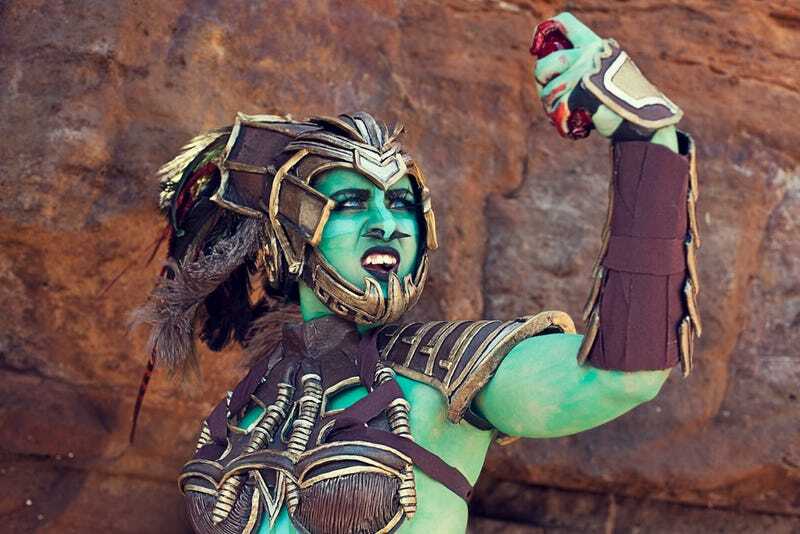 Kotal Khan cosplay by Yeliz, photos by SLDixon.